As part of my ever more enjoyable Dates With Dublin series, I’d planned to take a trip out to Glasnevin Cemetery last Saturday for a wander through the mausoleums and a mooch around the museum. I’d heard that the Glasnevin Trust have been doing some pretty amazing work developing the museum, as well as repairing and maintaining the vast cemetery in Dublin 11 – Ireland’s largest, by far and was looking forward to an afternoon hanging out with a bunch of the least argumentative people you could possibly encounter. 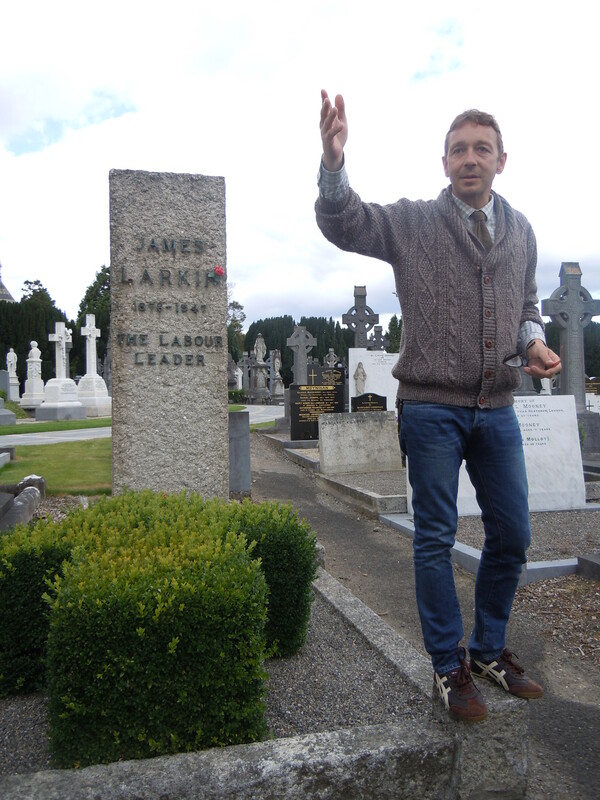 As chance, coincidence and plain old good luck would have it, I received an email from the lovely Darragh Doyle on Friday afternoon, inviting me along on a blogger’s tour of… you’ve guessed it, Glasnevin Cemetery, courtesy of the folks at Slattery Communications. I didn’t need to be asked twice, and at 12pm on Saturday, I found myself ensconced in the boardroom at Glasnevin Cemetery Museum, chowing down on sambos with the crème de la crème of Dublin’s bloggers, tweeters, and PR people learning the story of Glasnevin. From a personal point of view (and I know this is weird), death and funerals fascinate me. 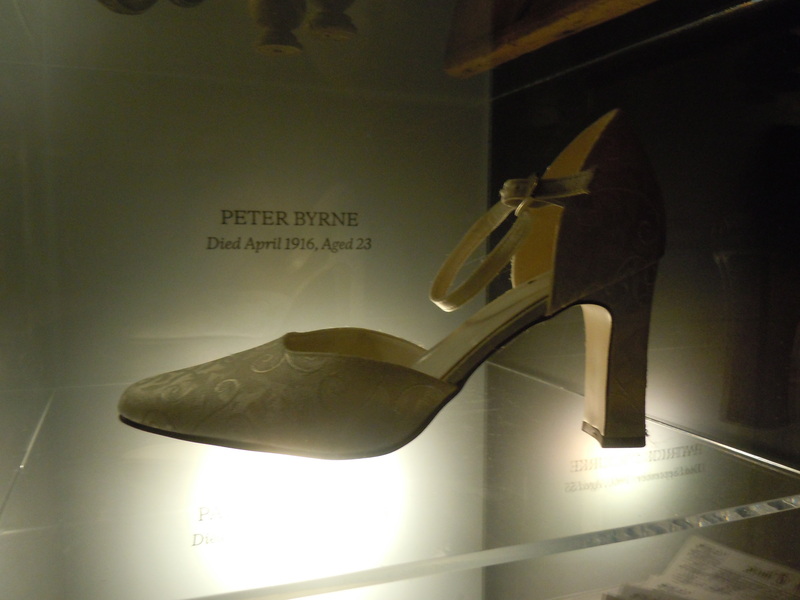 I find the traditions and the rituals around death interesting, particularly in Ireland, and I was looking forward to finding out a bit more about them from the experts. 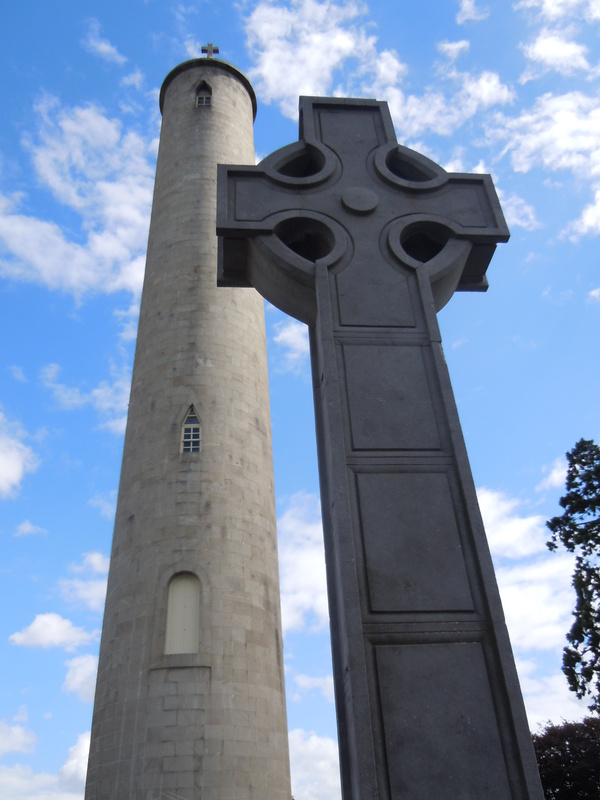 I know I won’t do justice to the national treasure that is Glasnevin Cemetery in this short blog post. I couldn’t. You need to go and see it for yourself. If you haven’t been, organise a trip, or hop on a bus and just go. But I will tell you that while it’s not your regular tourist attraction, it’s a fascinating way of passing a half a day. Even if you’re not as big a fan of dead people as I am. There are 1.5 million people buried in the cemetery. That, my friends, is more people underground in Glasnevin than are over ground in the whole of Dublin City. Impressive, huh? And it’s still filling up rapidly, necessitating the formulation of contingency plans, before the cemetery runs out of space. The first funeral in Glasnevin was that of eleven year-old Michael Carey, on 22 February, 1832. He wasn’t alone for very long. There are approximately 200,000 gravestones in the cemetery. Many, before restoration began, were in a state of disrepair – cracked, sinking etc. About 60% of them have now been restored. 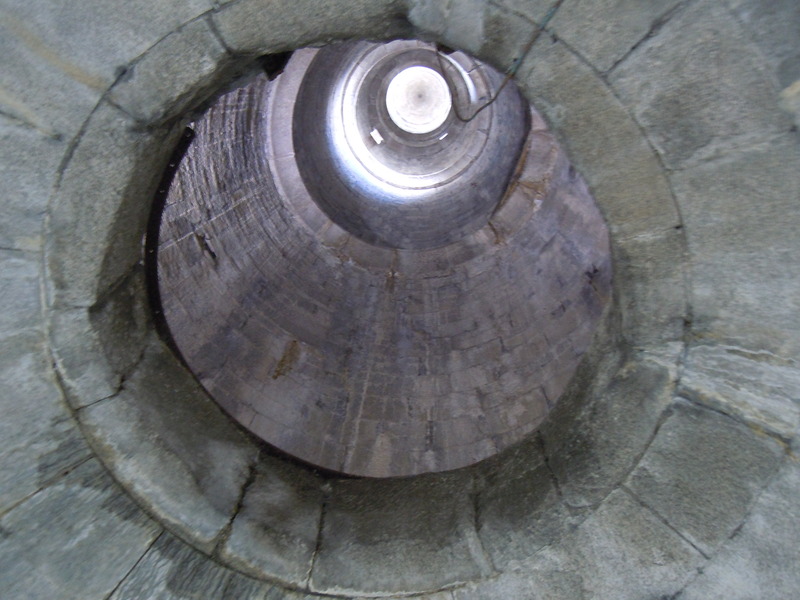 Glasnevin was the first cemetery in Ireland to blaze a trail (sorry) and open a crematorium. There are still only four in Ireland, though the number of people opting for cremations is steadily growing year on year. Pacemakers and artificial hips are not suitable for cremation – the former can explode, and the latter, well, nothing happens to them. Just so you know. 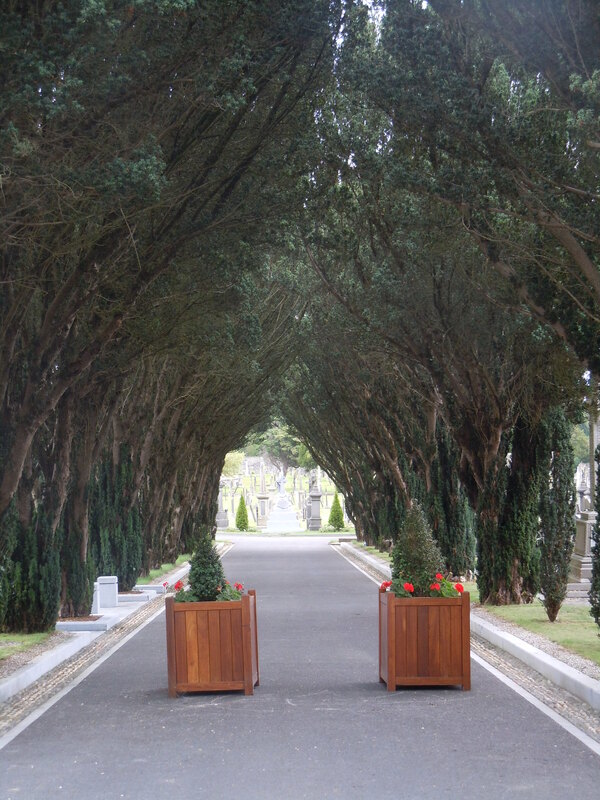 Interestingly, there is no regulation governing cremation in Ireland at present. None. 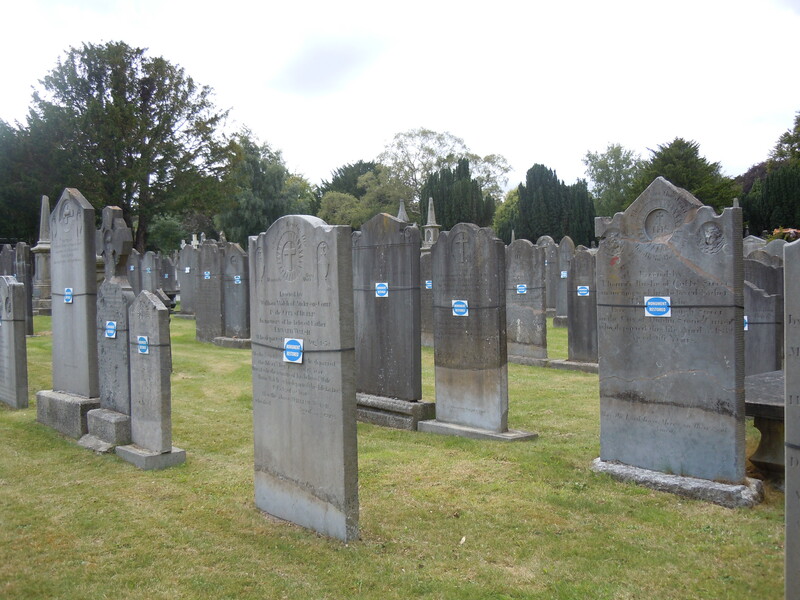 There are, however, regulations in place in Glasnevin now regarding the type and size of headstone you can add to a grave, and the message you can write on it. This is to avoid political and overly personal messages. You can, however, use whatever font you like. No-one’s opted for Comic Sans … yet. The cemetery is non-denominational – basically no matter what your religion, you’re welcome here. A cemetery “for all religions and none”. There are many, many famous people buried in Glasnevin. 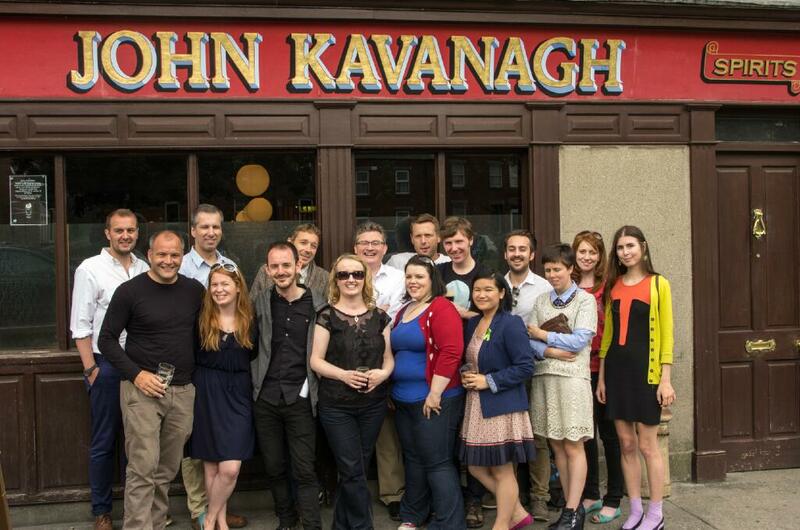 Writers, politicians, characters from Ulysses – you name it, Glasnevin is home to them. On our short tour we “met” Michael Collins (and Kitty Kiernan, buried within a respectable distance), Eamon de Valera, Gerard Manley Hopkins, Jim Larkin, Maude Gonne, Brendan Behan and Sir Roger Casement among others. And of course, Daniel O’Connell. Daniel O’Connell’s family tomb is located under a huge round tower monument that took 8 years to build, but was bombed by Loyalists in 1972, destroying the staircase and with it a spectacular view of the city. The plan is to rebuild the staircase in time and restore this unique and historic vantage point. 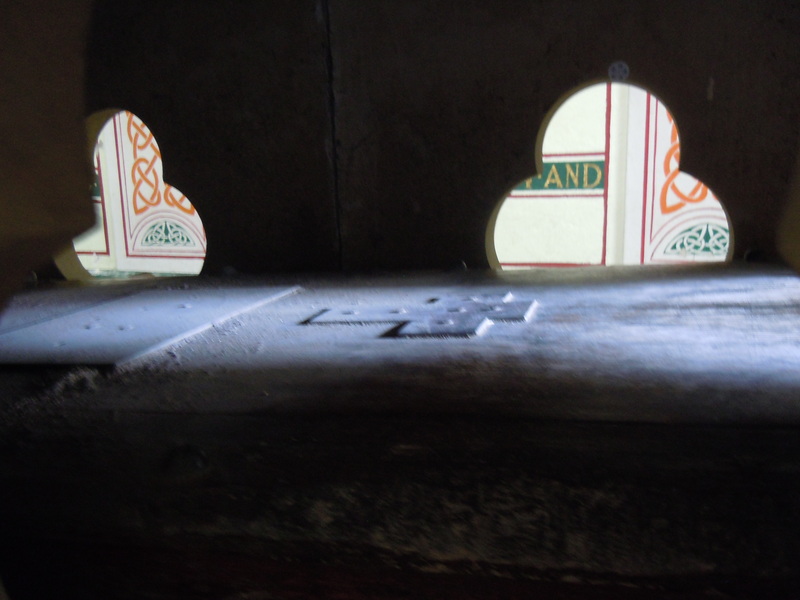 O’Connell’s enormous coffin is placed within a tomb, through which you can see it, and reach in and touch it. Wow. 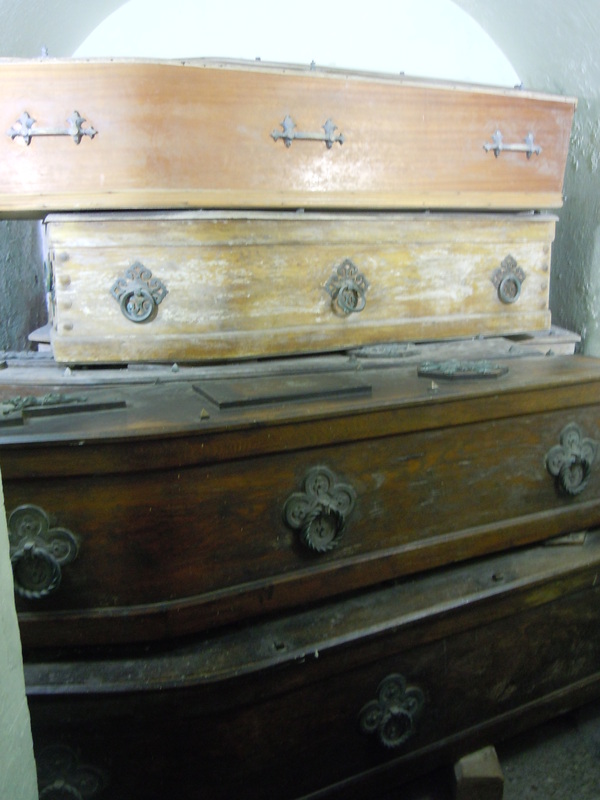 In a separate room is the “family stack” where the lead-lined coffins of O’Connell’s family are piled up, almost carelessly, close to the great man himself. There are at least a million more things to tell you about Glasnevin (probably 1.5 million, given that every body has its own story). You might say death is a great equaliser, but from the mass pauper graves homing the thousands of people who could not afford decent burials or died during epidemics, to the Angels plot, to the extravagant, ornate carvings which adorn the resting places of Dublin’s wealthy, all human life is here. The museum in particular is a poignant, yet powerful monument to the people within Glasnevin (who at all times remain the focus), telling as it does the stories of many who lie within the plots. The glass wall displaying symbols of the lives of a select few serve as a striking reminder of the purpose this place serves. What struck me throughout our day with the team was the respect and sensitivity with which they spoke and with which they treat their surroundings – all are evidently keenly aware that the position they hold is one that brings with it great responsibility in terms of maintaining, repairing, developing and marketing the cemetery, particularly given the need for greater commercialisation in order to generate funds for maintenance. I got the sense that every decision is debated, dissected and considered carefully, which is reassuring given the amount of stakeholders – dead and alive – who are potentially affected. Shane, in particular, you feel, has walked every inch of this ground hundreds of times and knows it intimately, and this very charismatic, warm and witty man’s affection for the place shone through in every word. In what is becoming one of Ireland’s busiest tourist attractions, there is, oddly, a wonderful sense of calm and beauty, particularly in the older, green areas among the cemetery’s oldest residents. 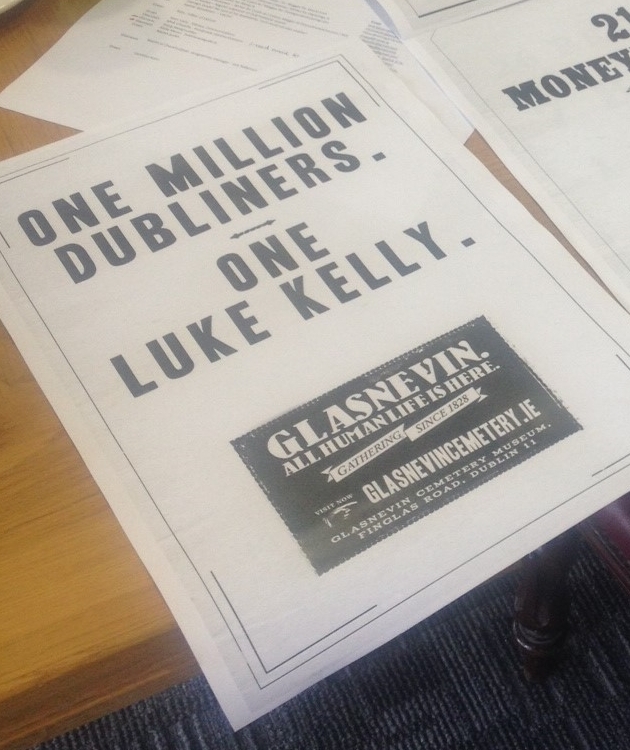 The Glasnevin Trust has many more plans for the future. As well as restoring the O’Connell monument, there are still thousands of graves to be repaired and a memorial wall containing the names of all the dead from 1914-22 is being mooted. The cemetery lies a little bit away from the tourist trail, on the northside but is very easily accessible via public transport or you can drive and park. Hop on a bus or your bike and go! There’s a shop, café, all the information you can possibly consume, a genealogy centre and a myriad of guided tours and events in the pipeline. I really can’t encourage you enough to go see this piece of our history. And go visit the Gravediggers afterwards. The hype is indeed true, and the pint I had there afterwards with my new blogging buddies was indeed one of the finest I have tasted above ground in Dublin. A fine end to a fine day. Thanks to all at Glasnevin Cemetery and Museum, and the good people at Slattery Communications for the invitation – it was a pleasure to partake. 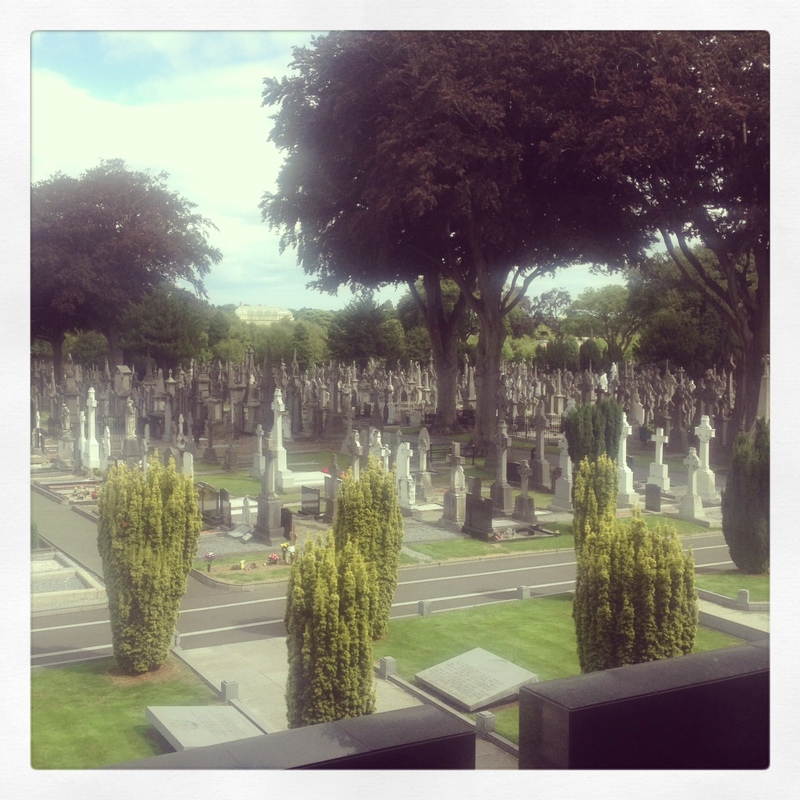 Nice one – Glasnevin has been on my list for years. I just gotta go now… Thank you Anne Marie! Thanks Keith – glad you enjoyed. I can’t recommend it (or indeed, the pint in the Gravediggers) highly enough. Was kinda reluctant to leave myself, I’ll admit. Your other post is intriguing… keep me posted! I saw a couple of people tweeting on the day of the tour. Nice to read the whole story. haven’t been there for twenty years (not since some school trip), so must make an effort one of these days.